Jadranka and Zlatko Pejic from Croatia are true pioneers of the organic food industry in Croatia, They share and promote the vision of a healthy life in peace and in environmental awareness. During the war in former Yugoslavia, Jadranka and Zlatko were active peace activists and began to get involved in the organic movement. Since 1990, they unite their various activities under the umbrella of Biovega. An enterprise they founded and that has become Croatia’s market leader for the import and export of organic food products. 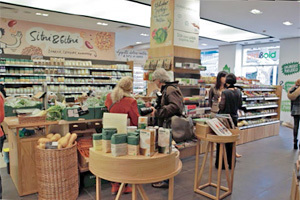 In Croatia, organic food products are sold in natural health food stores as well as in pharmacies. 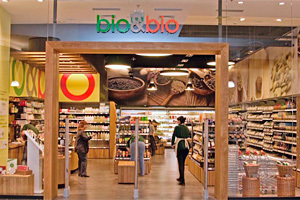 Their own bio&bio store chain includes 14 stores and they were the first to introduce organic products as private label products in conventional food supermarkets. Both organic pioneers have their roots in the macrobiotic movement. In their institute Makronova more than 50,000 people have so far attended workshops, seminars and lectures. Jadranka and Zlatko are authors of a range of popular books and numerous articles which they publish in their own publishing company named “Planetopija“. The two laureates coordinate many of their activities from their farm that they named “Zrno” (Seed). Zrno was the first organic farm in Croatia. In the farm’s mill and in its bakery, organic products are processed and new products are developed. Their own organic bistro in Zagreb offers delightful vegan meals with almost all of the ingredients coming from the Zrno farm. Jadranka Pesic has received the Best Female Entrepreneur of the Year Award from the European Bank for Reconstruction and Development. Zlatko Pesic was awarded the prestigious international “Green Oscar” for his Earth Day activities. He is joining other famous “Green Oscar” laureates such as Vandana Shiva, Jean Jacques Cousteau or Robert Redford. Both, Jadranka and Zlatko deserve greatest admiration for their merits considering the fact that they started to raise awareness and get involved in the organic movement in a war time context. Unique are their efforts to bring together general peace issues and peace between man and nature through organic farming.